An XML file consists of various “elements” that together represent a tree. An element can include other elements. Via “Attributes” an element can accept values. Some of these attributes must be assigned. Next in the visu_config.xml within the meta tag are all definitions for plugins, mappings, stylings, icons and the status bar. The correct order must be adhered to! The following is an overview of the options in the meta-tag. see also Change individual widgets through CSS classes and Write your own widgets via plugins. If the icons have been uploaded with the Manager they are stored in the path resource/config/media/. An uploaded icon with the filename logo.svg kan be included with the following line: <icon-definition name="Logo" uri="resource/config/media/logo.svg"`. The path ``resource/config/media/ is valid for CometVisu versions >=0.11.x. For versions <=0.10.x the path config/media/ is valid. 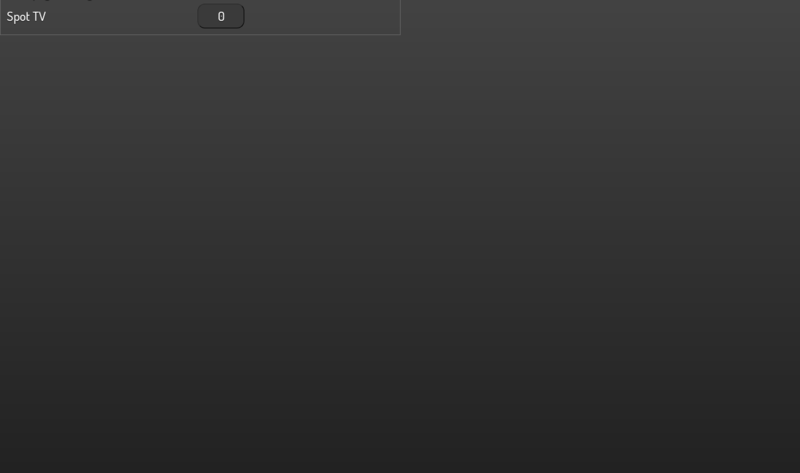 The status bar (footer) is located at the bottom of the screen and allows e.g. external links (via URL). In the meta area, templates for frequently used configuration sections can be created. In general, one would like to show e.g. his heating in every room in the same way. However, this can consist of several widgets, e.g. a slider for displaying and operating the valve position, an info widget for displaying the current actual temperature and an InfoTrigger widget for the current setpoint temperature. This structure is the same in every room, only the used address changes. With a template you have to write this structure only once and can reuse it in every room. In the template definition, placeholders are used for variables, which are then replaced by the corresponding values when using the template. The following example shows how to define and use a template. The templates use mustache.js. For more information, the mustache.js documentation can be consulted. As an alternative to the example above, the content of the template can also be swapped out to an external file. First, a page must be created as the start page. This happens with the topmost container. All other widgets and pages are inside this main page. The position of the elements is processed from top to bottom. This little example creates a main page named Start page. On this home page, a link to a subpage named Page1 will be created. On this subpage, a button named Spot TV will be added to the top. 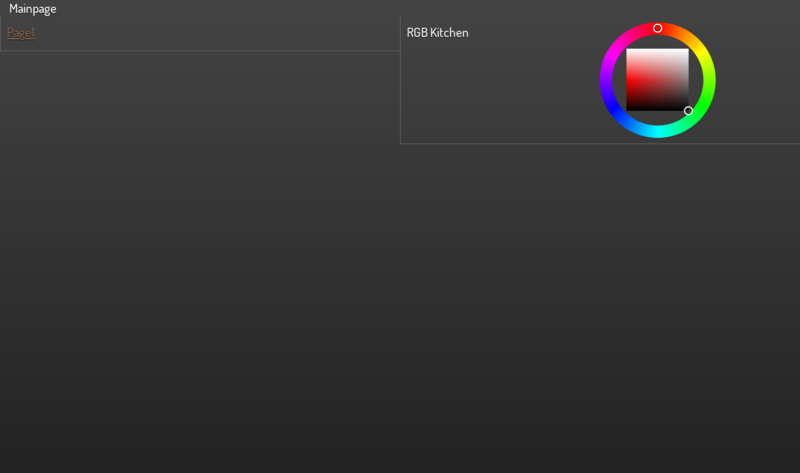 Next, the color chooser named RGB Kitchen will be added to the main page. This completes the visu_config.xml and can be transferred to the server.